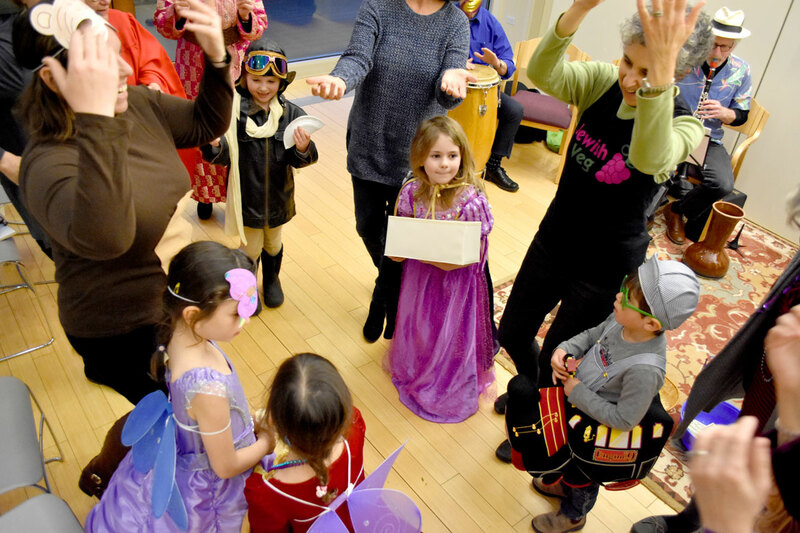 As is traditional, the families gathered at Gloucester’s Temple Ahavat Achim for their annual celebration of the Jewish holiday of Purim on Wednesday evening were costumed as superheroes and princesses, ninjas and giant bananas. Cape Ann Brewery kindly makes a special brew for the synagogue, Lewis noted, so that they can drink (responsibly, he stressed) to fulfill the traditional mitzvah to drink until yon can’t tell the difference between the story’s good guy and bad guy. 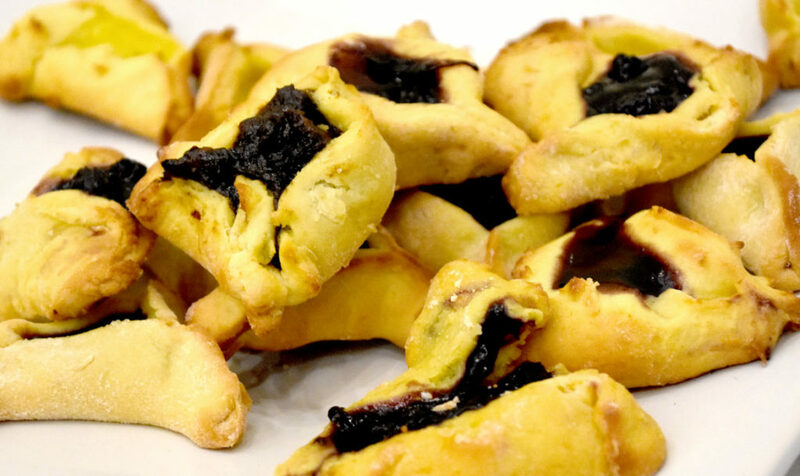 The ancient Purim tale is a story of the Jewish people surviving in the face of a dire threat. It begins with a Persian king ordering his wife to dance for his guests in her crown—and, apparently, nothing else. She refuses, so he replaces her a new queen, Esther. Haman, a top advisor to the king, becomes upset when a man by the name of Mordecai fails to bow to him. So he hatches a plot to murder all the Jews in the empire. But Esther turns out to be Mordecai’s niece/cousin and a Jew herself. She intercedes with the king, who allows the Jews to fight those that would kill them. 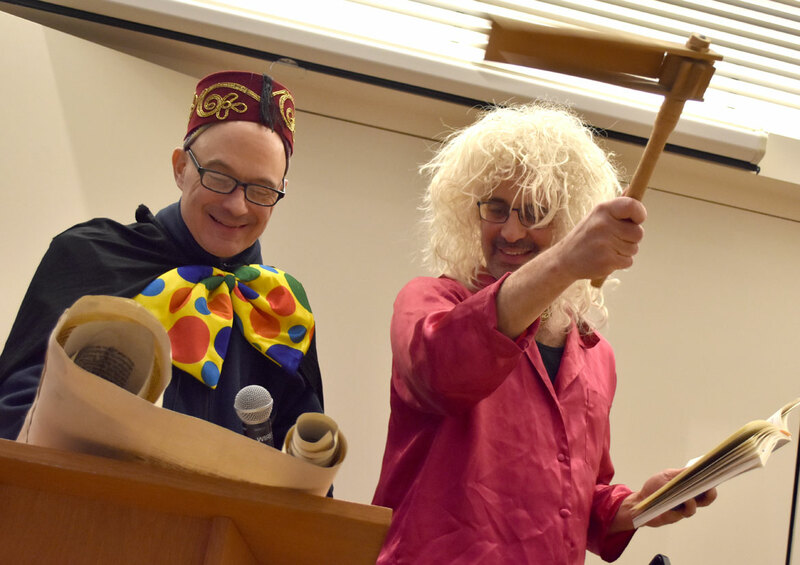 At Temple Ahavat Achim, they sang songs (generally humorous), danced, joked, ate homemade hamantaschen (triangular jelly-filled pastries), played games (pin the hat on the Haman’s head) and read the Book of Esther—the whole thing—in Hebrew. 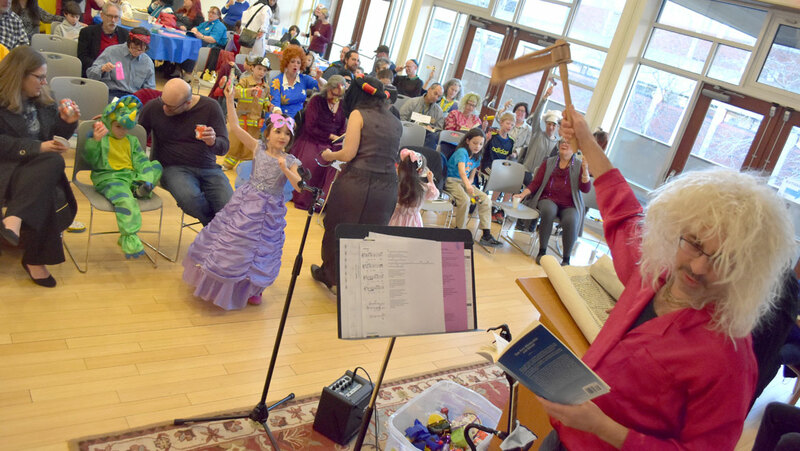 As is traditional, whenever the text mentioned Haman’s name, all raucously, joyously booed and shook graggers—clackers or rattles—so that the villain’s name may never be heard.